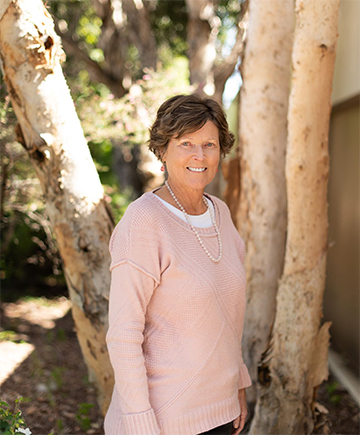 Nutrition Professor Peggy Papathakis joined Cal Poly’s Food Science and Nutrition Department in 2006 determined to engage in nutrition research in developing countries and provide global experiences for Cal Poly students. In the last decade she has conducted numerous research studies, which included more than 30 students, in the small country of Malawi in southeastern Africa focused on increasing the nutritional intake of pregnant women there. Papathakis, who received a prestigious Fulbright Scholarship from the U.S. Department of State’s Bureau of Educational and Cultural Affairs in April, will now continue her efforts in Malawi. Q: What will the Fulbright Scholarship enable you to do? A: I will spend 10 months in Malawi, from January to October 2019, teaching and helping to build the curriculum for a nutrition training program at the University of Malawi, College of Medicine to train clinical dietitians. There are only a handful of countries in all of Africa that educate nutrition professionals, and Malawi considers nutrition a key national policy priority because of the illness and death of infants, children and adults that results from poor nutrition. Q: Describe Malawi and how you have come to know it. A: I came to know Malawi through my work with the World Health Organization where I met a colleague from Washington University who was conducting research studies there. Our partnership began by providing an opportunity for Cal Poly nutrition students to spend three-month stints in Malawi gaining global health and nutrition experience. For part of my sabbatical I decided to reengage my fi eld nutrition skills and lead a study of pregnant women in Malawi with the goal of reducing maternal malnutrition. A modifi cation of the nutrient supplement we found successful is now being used in Sierra Leone. Q: What is the country like? A: Malawi is known as the warm heart of Africa — and that describes it beautifully. The people are welcoming, hard-working, proud of their country, and willing to teach you about their culture. It is a wonderful place to do work. Malawi is an underdeveloped country with a mix of nice structures and a lot of old colonial-style buildings in town, and rural dirt roads, mud huts and thatched roofs. It is a population that suffers from diseases of both over- and under-nutrition. You can see elements of both no matter where you are, in a village or in the city. Q: There are only six registered dietitians working in the entire country? A: In Africa, only a handful of countries produce nutrition professionals. Malawi has decided to educate and support nutrition professionals and to hire them — creating a class of health care workers who will be immediately able to work in the fi eld. While there I will teach similar courses to what I teach at Cal Poly such as medical nutrition therapy and diet for prevention and treatment of diseases. I also want to develop curriculum for the university so that something stays there when I leave. I’m taking my experiences from Cal Poly as a tenured faculty member in developing outcomes and measuring them and starting that process there. Q: What is your hope for the future in Malawi? A: That the country will be more self-sustaining. There are currently high unemployment rates with educated people unable to fi nd jobs. This is a potential avenue to improve that. My biggest goal is to help build the professional capacity available to them so that they can use it in their homes, their communities and to help continue to build up their beautiful country. I want them to succeed.